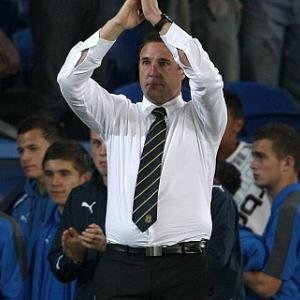 Cardiff boss Malky Mackay insists his side will be fully focused when they go into their Carling Cup semi-final first leg against Crystal Palace on Tuesday. "They want to do the exact same as us and if we don't focus fully on that, then we would be foolish." Yet Mackay was at pains to state the cup run has not sated his team's appetite for promotion, as that was their ultimate goal at the start of the campaign. But he has ordered his troops to stay focused on their attempt at cup and promotion glory. "You go into your league season to try and win promotion - that is without question," he added. "Every team in the division goes to the race trying to win it, we are no different. We are in and around the play-off position at the halfway stage, but like everything we have a focus on Tuesday night. "It's a major competition, and it's a fantastic situation for our club to be at the semi-final stage for the first time in so many years. "It's highly important to us and something that takes our immediate focus. We try to prepare the players and they prepare themselves well, you focus on the game you are going into, whether it be league or cup, and at the moment its cup."